NIA CHARLESTOWN NEVIS (September 01, 2016) — Palsy Wilkin, Principal Education Officer (PEO) in the Department of Education on Nevis congratulated some of the top students who excelled in the annual overseas examinations. 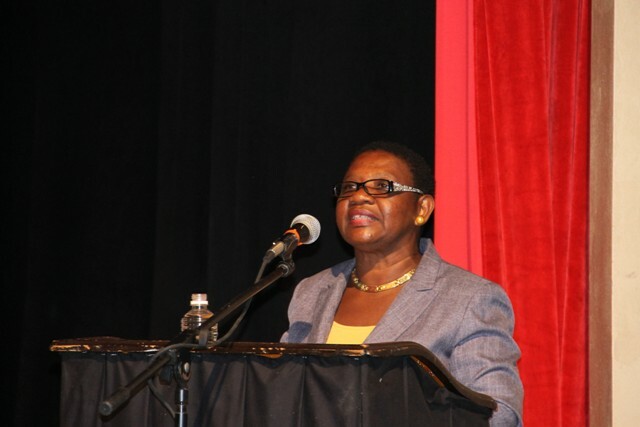 She was at the time delivering remarks at the Department of Education’s annual Back to School opening ceremony at the Nevis Performing Arts Centre (NEPAC) at Pinney’s Estate on August 29, 2016. The event which sets the tone for the incoming school year was attended by the island’s teachers and school auxiliary staff. “We commend and congratulate the Charlestown Secondary School and [Nevis] Sixth Form College, the Gingerland Secondary School, the Nevis International Secondary School. “We commend our best students Rol-J Williams from the Gingerland Secondary School returning 17 subjects with 17 ones. Congratulations. We commend Orian Stapleton at the Sixth Form level, 10 units with 6 grade ones. We commend Mr. Kamil Wilkin, 9 units with 5 grade ones. We commend Ronecia Liburd 11 subjects with 11 ones,” she said. The PEO, also lauded the efforts of all the island’s primary schools for the good results returned in the Test of Standards. Wilkin thanked the schools and all who assisted for their hard work, dedication and commitment to educating the nation’s children. “We want to make the link that as we continue to develop the gold standard for excellence in teaching; we will indeed deliver quality education for empowering the nation,” she said. The theme is a continuation of the gold medal mindset, the Olympian Thinking, a programme the Ministry of Education adopted from Olympian Marilyn King, which encompasses quality education through a passion-powered, vision-guided and action-oriented strategy which allows ordinary people to become high achievers. Wilkin, used the opportunity to commend the efforts of the schools who followed through and kept the Olympian Thinking alive. 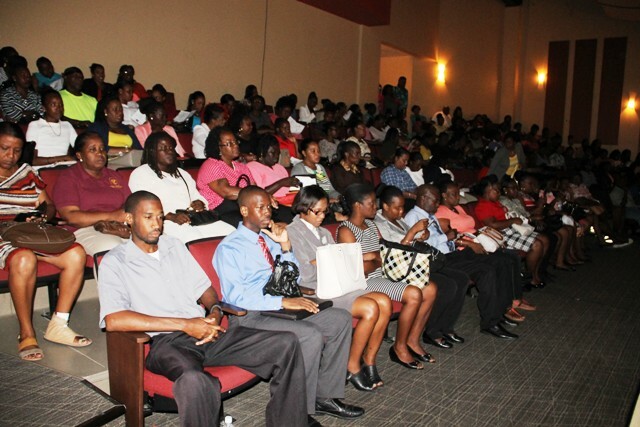 Also present at the event were Premier of Nevis and Minister of Education in the Nevis Island Administration Hon. Vance Amory, Hon. Alexis Jeffers, Hon. Hazel Brandy-Williams, Permanent Secretary in the Premier’s Ministry Wakely Daniel and Assistant Secretary Kevin Barrett.